Mesh Pool Fence – Why Mesh? – What Makes It Different? Why is mesh fabric the desired fence panel material among pool safety fencing companies? The overriding answer is first and foremost, safety. Katchakid’s mesh pool fence panels are specifically designed to diminish the ability for a child to climb. With no cross bars or slats, a child has no easy foot or grab-hold to help them climb, mount or hoist themselves up and over the fence. While safety is the primary concern, Katchakid also considers the aesthetic quality of the fence. Katchakid’s fence panels are made from Textilene®, a small micron woven mesh. 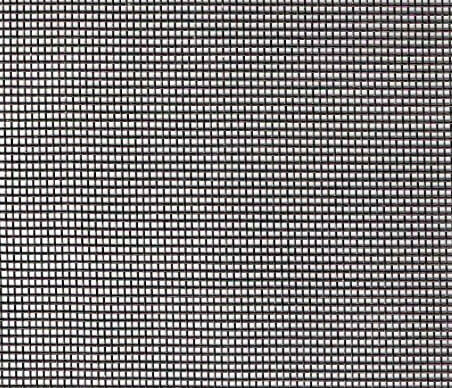 A micron is a unit of measure equal to 1 millionth of a meter in length (approx. 39 millionths of an inch); the average human hair is 50 microns, and the human eye cannot see anything smaller than 40 microns in size. Using this material for our mesh pool fence panels allows maximum sunlight through the weave of the strands while making the material’s holes almost unnoticeable from a small distance. It’s almost like looking through a transparent sheet of plastic – giving you an uninterrupted, safe view of your sparkling pool. Here the left panel has been repaired with our tight weave Textilene® mesh while the panels on the right are fabricated from a larger weave – original manufacturer unknown. Katchakid’s mesh pool fence Textilene® panel is fabricated from a PVC coated polyester material, which is a hard-wearing, long-lasting, all-weather fabric specifically designed for outdoor use. Furthermore, the mesh is tear resistant and resilient to sun exposure. Read more technical fabric specifications on our pool fence product summary page. As security, aesthetics, cost and durability are solid benefits to mesh pool fencing, there is also the component of convenience. This product, if selected to take down, is fully removable and is designed for easy roll up and storage. When considering the options for pool safety, it’s important to make informed decisions based on budget and one’s customized situation. 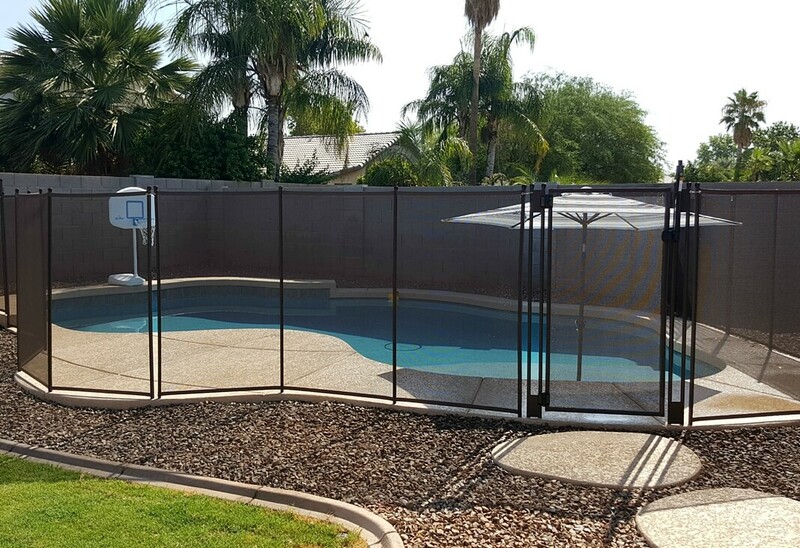 Mesh pool fencing is one viable option to increase security while providing quick and easy access to your pool.